Intramuscular Stimulation (IMS) Therapy is an effective treatment for acute and chronic pain from a neuropathic origin. What is Intramuscular Stimulation (IMS) Therapy? 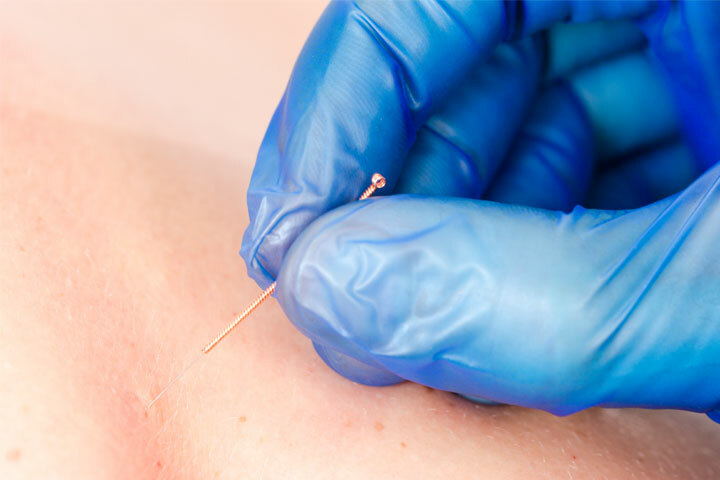 Intramuscular Stimulation (IMS) involves the insertion of a fine acupuncture needle into the body where muscles have been shortened or contracted. It is often problems at these areas where the root of long term pain comes from. In many instances pain results from no obvious cause and often perplexes the medical system on how to treat these scenarios. Neuropathic pain, typically occurs when nerves malfunction following minor irritation. Over time these nerve endings become hyper sensitized which leads to muscle banding and pain. The goal of IMS therapy is to properly assess and treat the direct root of the pain and release the shortened muscle which is pressing on the irritated nerve. Super-sensitive areas can be desensitized and the persistent pull of the shortened muscles released, thereby restoring motion and function and therefore decreasing pain. After IMS treatment you feel an ease of motion and increased motion immediately. You may feel tired and have a sense of fatigue. Individuals usually experience an aching tired feeling in the muscles that were treated for approximately 24 hours. It is advised not to engage in strenuous activity for 24 hours after an IMS/ Dry needling session to allow for proper healing. Whether pain is related to chronic athletic injuries or whole body chronic disorders our clientele expresses frustration at having spent years trying different treatments with only short term results. Physiotherapist are often intimidated by this type of clientele. Our highly qualified team of Physiotherapists and Massage Therapist thrive on challenge and resolving this type of pain disorder. If you are one of those individuals that is not getting better with standard physiotherapy practices or want to decrease the amount of treatments needed to restore function and become pain free, its time to give our team and IMS a try.